Hi I am Court from Court's Craft Corner! And today I am proud to showcase the Ribbon and Rosette cricut cartridge! It is a realy awesome cartridge and I should probably use it more often, because Ieverytime I use it I really like how my project turns out! 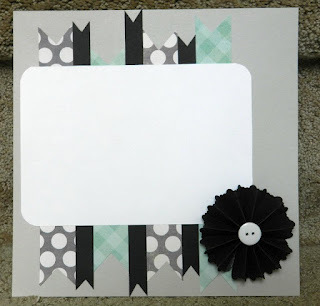 Today I will show you how this cartridge can be used in card making and scrapbooking and not only for rosettes. This first card I made is a birthday card! If you were to mail this you would need to add extra postage, but I hand delivered mine to my cousin and she LOVED it! Here is the link to the original post! This 8 by 8 layout was a fathers gift for my daddy. I added a picture of him and his daddy after taking the picture. Here is the link to the original post! The last card was really fun to make. The butterfly, scallop thing a ma gig, and the border strip were all cut from the cartridge! I have a lot of fun with this cartridge and if you have made anything with it I would love to see! Just leave a link in your comment! I so need to try this cart more. Thanks for the showcase.